If you are resident of Canada planning to visit one or more countries in Europe, and you need to apply for a Schengen visa from Canada, then you can apply at one of the Schengen Embassies located in Toronto (the capital of the province of Ontario), if you fall under the jurisdiction of any of the embassies. The first thing that you have to do is to check whether you need a Schengen visa or not, since Canadians are subject to the visa free regime that the EU applies to some world countries, which means they can enter Europe without a visa for stays under 90 days, under the purpose of tourism and business. However, foreigners that do not hold a Canadian passport, but live in Canada, will have to apply for a Schengen visa in order to be permitted to enter the territory. In addition, Canadians who have been refused visa-free-entry to Europe, for one or another reason, will need to apply for a regular Schengen Visa as well. Most Schengen member states have their consulates in Toronto, which accept visa applications by Canadian residents that wish to visit Europe. They also have their area of jurisdiction, the residents of which need to apply at the consulate in Toronto. When visiting only one country – you will have to apply at the embassy of that particular country. When visiting two or more countries – if you will be spending the same amount of days in each country, then apply at the country you will be landing first. When visiting two or more countries to spend different number of days in each – on the other case, if you will be spending unequal amount of days in each, then apply at the embassy of the country in which you will be spending more days. You will be able to visit all the Schengen countries with the same visa. 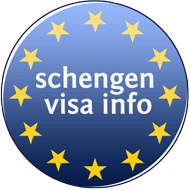 If you wish to stay in the Schengen Area for more than 90 days – When visiting a Schengen country where you are planning to remain more than 90 days you must apply for a national long-stay visa (D-Visa), not a Schengen visa. Instructions are on the respective embassy/consulate’s homepage. Below, find the list of all Schengen Consulates in Toronto, the area of jurisdiction of each, their working hours, their addresses and contact details, as well as whether they have outsourced visa application submission to another party. The Austrian Consulate in Toronto does not offer visa services; therefore, you cannot file your visa application there. Instead, you will have to apply for a Schengen visa at the German Consulate in Toronto. You can apply for an Austrian Visa at the German Consulate in Toronto if you are a resident of the area under the jurisdiction of Toronto, which includes Manitoba, Ontario (except residents of the National Capital Region of Ottawa or its counties (Lanark, Leeds and Grenville, Prescott and Russell, Renfrew, Stormont, Dundas and Glengary). Please note that the Germany consulate in Toronto don’t allow walk-in. You have to make an appointment online via this link. in order to be able to apply for a visa at General Consulate of Germany in Toronto. The Belgian Consulate in Toronto does not offer visa services; therefore, you cannot file your visa application there. Instead, you will have to apply for a Schengen visa either the Consulate General in Montreal. Note: No queries related to visas should be sent to the Embassy of Belgium in Ottawa or honorary consulates. Please note that the Belgium consulate in Toronto don’t allow walk-in. You have to make an appointment online via this link. in order to be able to apply for a visa at General Consulate of Belgium in Montreal. You can apply for a Schengen Visa at the Czech Consulate in Toronto if you are a resident of the area under the jurisdiction of Toronto, which includes Ontario (except the districts in jurisdiction of the Embassy in Ottawa), Alberta, Manitoba and Saskatchewan. Visa applicants need to schedule an appointment with the consular section at the Czech Consulate in Toronto. Appointments can only be scheduled on Mondays, Tuesdays, Thursdays and Fridays between 9 am and 11 am – excluding holidays. Note: Appointment can not be booked over the phone and the email is strictly for requesting appointment; questions sent to this email will not be acknowledged. Ensure that you book an appointment for each individual applying for a visa. Meaning, if you and a family member(s) are applying, you must book TWO or more appointments. Please allow 24 hours to reply to your email; therefore, request your appointment accordingly. The Danish Consulate in Toronto does not offer visa services; therefore, you cannot file your visa application there. Instead, you will have to apply for a Schengen visa at one of the VFS Global centers in Toronto, to which Denmark has outsourced the submission of visa applications and collection of fingerprints. Visa applicants need to schedule an appointment with VFS Global in Toronto. To book an appointment please click here. The Estonian Consulate in Toronto does not offer visa services; therefore, you cannot file your visa application there. Instead, you will have to apply for a Schengen visa at the Estonian Embassy in Ottawa, which is the only one in Canada that receives and processes visa applications for Estonia. Applicants must appear in person to submit their application and give their fingerprints, unless the fingerprints were collected in previous 59 months and are saved in the system. Please contact the Embassy via phone or e-mail if you wish to book an appointment. The Finnish Consulate in Toronto does not offer visa services; therefore, you cannot file your Finnish visa application there. Instead, the Finnish Embassy has outsourced visa services to the Consulate General of Switzerland in Montreal and the one in Vancouver. Residents of Manitoba, New Brunswick, Newfoundland and Labrador, Nova Scotia, Ontario, Prince Edward Island, Québec and the territory of Nunavut, who wish to get a Schengen visa to Finland will have to file their applications at the Consulate General of Switzerland in Montreal. You will be able to file your application at the following hours: on Mondays, Tuesdays, Wednesdays and Thursdays starting at 10:00 until 13:00 and on Fridays starting at 10:00 to 12:00. Residents of Alberta, British Columbia, Saskatchewan and the Yukon and Northwest Territories who wish to get a Schengen visa to Finland will have to file their applications at the Consulate General of Switzerland in Vancouver. You will be able to file your application from Monday to Friday, starting at 09:00 to 13:00. The French Consulate in Toronto does not offer visa services; therefore, you cannot file your French visa application there. Instead, you will have to apply for a French Schengen visa at one of the VFS Global centers in Toronto, to which France has outsourced the collection of visa applications and collection of biometric data. Visa applicants need to schedule an appointment with VFS Global in Toronto, through the France visa website. To book an appointment please click here. You can apply for a German Schengen Visa at the German consulate if you are a resident of the area under its jurisdiction, which includes Manitoba and Ontario, except residents of National Capital Region of Ottawa or its counties (Lanark, Leeds and Grenville, Prescott and Russell, Renfrew, Toromont, Dundas and Glengarry). Please note that you will have to make an appointment at the German consulate in Toronto in order to file an application. Applications can be filed from Monday to Thursday, starting at 08:00 to 16:45, whereas on Friday applications are received from 08:00 to 14:00. If you are unable to keep an appointment you have booked, cancel it immediately. Note that this Consulate General reserves the right to deny you further appointments if you do not show for an appointment without cancelling it. You can apply for a Greek Schengen Visa at the Greek Consulate if you are a resident of the area under its jurisdiction, which includes Ontario (except from Ottawa and Kingston), and Manitoba. Please note that you will have to make an appointment by email at the Greek Consulate in Toronto in order to file an application. Please note that the Consulate General does not process applications through agencies or third parties. Despite the fact that there is a Hungarian Consulate in Toronto, you cannot file your visa application there. Instead, you will have to apply at the Hungarian Embassy in Ottawa, which is also responsible for the procession of visas to Hungary, in Canada. You can file a Hungarian Schengen visa application on Mondays, Wednesdays and Thursdays starting at 09:00 to 12:00. However, you will have to make an appointment online via this link, since the embassy does not accept walk-in applications. a short description of your case. The Icelandic Consulate in Toronto does not offer visa services; therefore, you cannot file your visa application there. Iceland has outsourced visa submission to Demark, while the latter has outsourced visa submission to VFS Global. As a result, you will have to apply for a Schengen visa at one of the VFS Global centers in Toronto. You should start your visa application online through the Visa Self Service Portal, and then book an appointment at the VFS Global. Click here to book an appointment! All visa applications must be submitted in person, however if you have previously had your biometrics recorded for a Schengen visa, you are able to courier your application to VFS Global. The Visa Center is open from Monday to Friday starting at 09:00 to 13:00. During peak season (May, June, July and August), the center will be open Monday-Friday from 09:00 to 17:00. You can apply for a Schengen Visa at the Italian consulate in Toronto if you are a resident of the Provinces of Ontario (except for the counties within the jurisdiction of the Italian Embassy in Ottawa), Manitoba and the Northwest Territories, which are under the jurisdiction of this consulate. Please note that you will have to make an appointment at the Italian consulate in Toronto in order to file an application since the consulate does not accept walk-in applications. Book this appointment through the Prenota Online website, which is managed by the Italian Consulate. Booking through this website is free! The Consulate of Latvia in Toronto does not offer visa services; therefore, you cannot file your Latvian visa application there. Instead, you will have to apply for a Schengen visa at the Latvian Embassy in Ottawa. The embassy is also the only body in Canada that handles and processes visas to Latvia. The embassy is open from Monday to Friday starting at 09:00 to 17:00. You can file your visa application to Latvia on Tuesdays, Wednesdays, and Thursdays from 10:00 to 13.00. All applicants have to appear in person at the Embassy when lodging the application in order to provide their biometric data. You can apply for a Schengen Visa at the Lithuanian consulate if you are a resident of the area under the jurisdiction of Toronto. Check with the consulate for the area under its jurisdiction. Please note that you will have to make an appointment at the Lithuanian consulate in Toronto in order to file an application. Applications can be filed from Monday to Thursday starting at 09:00 to 17:00, whereas on Friday applications can be filed from 09:00 to 15:45. You will need to start your application by completing the online Visa Application Form. EPM is the online Visa Application Form pf the Republic of Lithuania, which is designated to complete and submit the application for a Schengen Visa to the consular Services of Lithuania. Click here to start your application! The Consulate of Latvia in Toronto does not offer visa services; therefore, you cannot file your visa application there. Instead, you will have to apply for a Schengen visa at the Consulate General of Belgium in Montreal or the Consulate General of the Netherlands in Vancouver. Please note that the Belgium consulate in Montreal do not allow walk-in applications. You have to make an appointment online via this link in order to be able to apply for a visa at General Consulate of Belgium in Montreal. The Consulate general of the Netherlands in Vancouver handles visa applications for the residents of Canada who wish to visit Luxembourg. An appointment is needed for all kind of consular services. You will need to make an online appointment via this link! The consulate is open Monday to Friday starting at 09:15 to 12:15. Every person residing in Canada can apply for a Schengen Visa at the Maltese Consulate in Toronto since its jurisdiction area covers the whole territory of Canada. Please note that you will have to make an appointment at the Maltese consulate in Toronto in order to file an application. Those residing in Canada and in need of a visa to visit Malta, should book an appointment since the consulate does not allow walk-ins. To book an appointment, call on 416-207-0922/0989 between 09:00 and 16:00, on a workday. Applications can be filed Monday to Friday starting at 09:00 to 11:00. All communication with the visa section has to be made in writing. You can apply for a Schengen Visa at the Dutch consulate if you are a resident of the area under the jurisdiction of the consulate Toronto. Please note that you will have to make an appointment at the Dutch consulate in Toronto in order to file an application. Click here to make an appointment with the consulate general in Toronto. Applications can be filed from Monday to Friday starting at 09:00 to 12:00. The Consulate of Norway in Toronto does not offer visa services; therefore, you cannot file your visa application there. The Norwegian Embassy in Canada has outsourced visa application submission to the Danish embassy, which has outsourced them to VFS Global in Canada. As a result, you will have to apply for a Schengen visa at one of the VFS Global centers in Toronto. You can apply for a Schengen Visa at the Polish consulate if you are a resident of the area under the jurisdiction of Toronto. Check with the consulate to learn about the area under its jurisdiction. Please note that you will have to make an appointment at the Polish consulate in Toronto in order to file an application since the consulate does not allow walk-in applications. Initially, you need to fulfill the application form through electronic customer service system “e-konsulat“. Visa application forms, which were not registered via the “e-konsulat”, will not be accepted. Once you have filled out your application form, you have to print it, sign it, and deliver it in person to the Polish consulate in Toronto on your scheduled appointment. You can file your visa application at the Consulate of Portugal in Toronto. Whereas the embassy in Ottawa is the only body responsible for visa processing. Identity information – including your name and surname, ID number, date and place of birth, country of birth and current nationality. Journey Doc – questions on your travel document (passport), your home address and occupation. Visa – information on the visa you are applying for and the visas you have held in the past 3 years, if any. References – information about your host, if any, whether it is a family member or an organization. Journey – information on travel expenses and subsistence, as well as information on the sponsor if any. You can file your visa application every workday starting at 08:00 to 14:00. The Consulate of Slovakia in Toronto does not offer visa services; therefore, you cannot file your visa application there. Instead, you will have to apply for a Schengen visa at the Slovak Embassy in Ottawa. The application must be submitted in person. You will have to make an appointment through email or phone; otherwise, your application may not be accepted. The Slovak Embassy in Ottawa is the only authority where an application for a Schengen visa to Slovakia can be submitted. The Consulate of Slovenia in Toronto does not offer visa services; therefore, you cannot file your visa application there. Instead, you will have to apply for a Schengen visa at the Slovenian Embassy in Ottawa. On the other hand, if you are a foreigner from British Columbia, Alberta, Saskatchewan, North West Territories, and Yukon, you will have to file your application at the Swiss Consulate General in Vancouver. Note that you will have to email the embassy in order to make an appointment, since the embassy since it does not allow walk-ins. On Tuesday starting at 10:00 AM – 01:00 PM and 014:00 to 16:00. You can apply for a Schengen Visa at the Spanish consulate if you are a resident of the area under the jurisdiction of Toronto, which includes Alberta, British Columbia, Manitoba, Ontario (except the city of Ottawa and its metropolitan area), Saskatchewan, Northwest Territories, Yukon and Nunavut. You have to show up at the consulate to file your application for a Schengen Visa to Spain. Please note that you will have to make an appointment via this link in order to file an application. On the other hand, if you are applying for a long-term visa you do not need to show up at the consulate. However, if you choose to do so, you must again make an appointment visa the same link. The consulate is open to the public from Monday to Friday between the hours of 09:00 and 12:30. The Consulate of Sweden in Toronto does not offer visa services; therefore, you cannot file your visa application there. Sweden has outsourced visa application submission to the Danish embassy, which has outsourced them to VFS Global in Canada. As a result, you will have to apply for a Schengen visa at one of the VFS Global centers in Toronto. You should start your Swedish visa application online through the Visa Self Service Portal, and then book an appointment at the VFS Global. Click here to book an appointment! The Consulate of Switzerland in Toronto does not offer visa services; therefore, you cannot file your visa application there. Instead, you will have to apply for a Swiss visa at the Consulate General in Montreal. All correspondence must be sent to that office. All residents of provinces of Quebec, Prince Edward Island, Manitoba, New Brunswick, Nova Scotia, Ontario, Newfoundland and Labrador Nunavut territory as well as the Bahamas shall apply for a short stay Swiss visa at the Consulate General in Montreal. Those wishing to visit Lichtenstein will have to submit their applications at the Embassy of Switzerland (or its consulates) in Ottawa, which is responsible for the diplomatic relations with Canada and the Commonwealth of the Bahamas.